It’s not just the lack of looting that is newsworthy. Photos and videos portray large numbers of Japanese survivors lined up patiently waiting to use pay telephones, or standing in long lines calmly and civilly waiting their turn to get water and food. Obviously lacking are scenes of outrage, pandemonium, chaos or criminal behavior, unlike reaction in the aftermath of recent natural disasters in other parts of the world. Compare that with this opinion piece in The New York Times discussing America’s love affair with “self esteem” and the unfortunate results. This over emphasis on “self” must not be confused with authentic self-respect, but actually diminishes Respect, resulting in egoism….self-centered behavior and insensitivity to others. The truly astounding reality in the middle of this overwhelming tragedy is not that there is no looting. Rather, it is the obvious depth of Respect planted in the soul of a nation, blossoming forth in the attitudes of individual people. This is not about “culture” or ethnicity as some have suggested. It is all about RESPECT. It is all about LOVE! If we are paying attention, our hurting world can learn vital, life changing lessons from the Japanese, even in their darkest hour. We urge you to listen to our podcast this week, and get involved. Share this information with everyone you know. Photo Credit: “SUICIDEHK45; a member of AboveTopSecret.com”, Japan Disaster Photo Thread……Please Add Photos!……Amazing! God bless the people of Japan. Wondering how this reflects on the “Christian” nations of the world since love (and what goes with it) is supposed to be the “hallmark” of Christ’s followers…? Maybe this is a wake-up call. 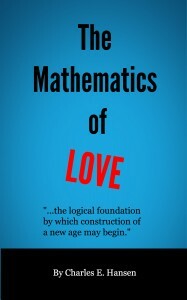 Definitely looking forward to more of this new info on how love works. Thanks. Thank you, littlesweede, for your thoughts on this subject. The question you pose is an interesting one. We hope that the information we are making available will help people everywhere better understand how Love works and the concrete ways to apply it to real life situations. Huge follower of your page, a large number of your posts have definitely helped me out. Looking forward to up-dates!